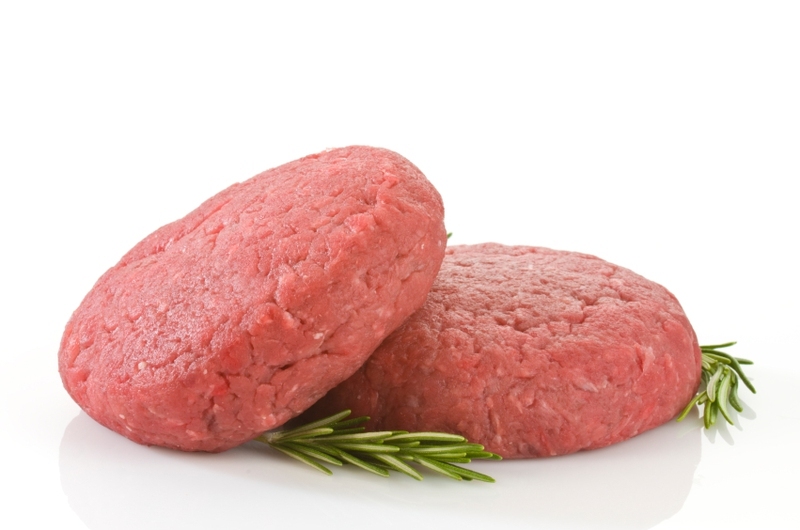 In American or Australian English, a patty is ground meat that is flattened and round in shape. It is compacted and then shaped, after which it is cooked and served. In dishes like Salisbury steak, they can be devoured using a fork and a knife, but they are often served in a sandwich form known as a hamburger if the meat is ground beef. In Ireland and the United Kingdom the word "patty" is rarely used, hence it is known as a burger regardless of whether or not it is served in a sandwich. Get a chunk of beef from the butchery where you can ask the butcher to grind it twice, first in a course plate and then a fine plate, and make sure that the fat content is around 15%. If it exceeds this percentage, the excess fat will cause the fire to flare up when cooking. It is advisable to buy the meat and cook it the same day. Get an empty bowl and the put meat into it, then add the other ingredients. Chop the garlic and onions and mix them together in a separate bowl. Add other ingredients for flavor like mustard, sauce, chopped herbs and ketchup. Keep in mind that these ingredients are optional. Add in an egg yolk seasoned with pepper and salt and mix them well. You can start by doing so with a spoon, and then use your clean hands to combine all ingredients thoroughly. Now it's time to divide the meat. For good results, take a look at the size of the bread first then measure the patty accordingly. Please note that the higher the fat content in the patty, the more it will shrink while cooking. For example, if your lean meat is 85% and the fat content is 15%, you will make a patty that is slightly bigger than the bread. Remember to make the patties the same size to cook, otherwise you will get large patties which are undercooked and small ones that overcooked. You can do this by holding and weighing the balls of ground meat in your hands. With the ground meat ball in your hand, simply do this by pressing it in the middle and from the sides. The edges will crack and break, then you need to make the edges round. When finished, the meat should be compact and solid. As mentioned earlier, the patties will shrink while cooking and as they do so, deep cracks will be formed there. To avoid this, the middle part should be thinner than the surrounding edges. 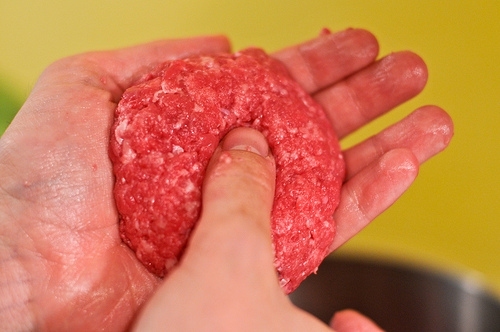 Do this by pushing some extra meat from the middle to the edges and the patties will even out when cooked. Once formed, you can season them. A burger is as good as any other meat for grilling. Unlike pork chops, you don’t need to oil the patties because the fat inside it is uniformly spread out. You can instead add flavor to them by sprinkling spices or herbs, or both, then grill them for 5-8 minutes depending on the added flavor. Cheese: If you are a cheese lover, you can add cheese to your burger to make it a cheeseburger that most people will go for. It is important to note that there are different kinds of cheese like Gouda and cheddar. Different cheese will give your burger a different texture and a different taste. To include cheese you can either add it to your burger while still cooking or you can add it after the meat is done. Bread: For the bread for the burgers, you have several options to pick. They range from rolls, normal burns to buns that are covered with sesame seeds. Cooking Methods: Although grilling is the most commonly used method to cook patties, there are other ways that will yield the same results, like broiling in an oven broiling or toaster, steaming and pan frying. Server responsed at: 04/23/2019 10 p.m.